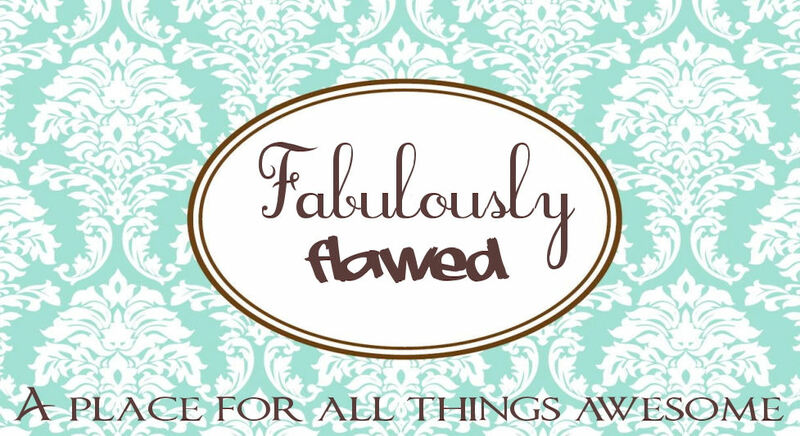 Type A: Fabulously Flawed, 13 Days 'Til Christmas!!! Hello, fellow Type A Housewife readers! 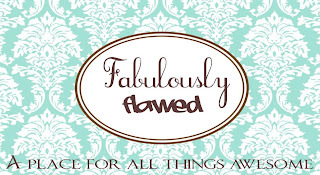 My name is Lesley and I run a blog called Fabulously Flawed. It's a cute little corner of blogiverse where I craft, gossip and even run a weekly linky party every Thursday! I swear I don't bit so if you're ever in the mood... come say hi! I am a mother of 4 and always appreciate a recipe that I can mix up, stick in the oven and leave for an hour to cook itself up. This particular recipe is usually reserved for Christmas. My husband is french and his family always had their loved ones over for Christmas Eve and at midnight they would open presents. A few years ago we adopted the tradition and it's been such a blessings! We do the same with loads of family fun on Christmas Eve, but, now we open all of our gifts at midnight. We're already up, the bulk of gifts are open so there's no insane waking up at 5am and running to a hysteria of gift opening. Santa brings one gift and fills the kids' stockings, so each of my children can get up whenever they feel like it to check on what Santa brought them. This also gives me a chance to make a proper breakfast. God knows that before we started opening gifts the night before, I would be running to grab a quick breakfast for everyone and sometimes miss a gift being opened. With this recipe, you make it 1 or 2 days before, keep it in the fridge and just pop it in the over as soon as you get up and , voila! A hot and yummy breakast just 40 minutes later! I always double it so that there's plenty left over. Everyone loves it! 1 (10.75 ounce) can of your favorite condensed soup. I like potato. Keep in mind that I always double the recipe...hence the massive amount of hash browns! cheese, salt and pepper. Place mixture in a 3 quart casserole dish. Take out and dig in! Super easy. Super yummy. Super fun! Good food and fun flaw-fullness! Can't wait to visit! Your Daughter looks like she enjoys cooking...and those faces crack me up! I have to try this this weekend. YUM! I love the Christmas Eve gift-opening tradition. Brilliant. The casserole looks pretty yummy too.